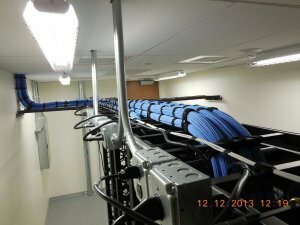 Certifications, BICSI, RCDD, InfoComm - B.I.G. B.I.G.’s senior managers are technical professionals with extensive fieldwork and project management experience. Our employees, who average 10 years of tenure, are problem solvers and experts in every aspect of the technical and business requirements for providing industry-compliant designs, implementation, and support. B.I.G. has designed, implemented and managed national and worldwide installations that are large in scale and complex in scope, including network infrastructure, telephony, and communications cabling. Our product certifications are very important to us. They afford us the opportunity to supply you with an installation of a product on which our technicians have been trained and certified. These certifications also enable us to provide you with a lifetime product warranty. Our BICSI credentials demonstrate industry experience and that B.I.G.’s experts have passed rigorous tests, follow standards of professional conduct, and keep up with recertification requirements through continuing education. A Registered Communications Distribution Designer (RCDD) is an individual who has demonstrated knowledge in the design, integration and implementation of telecommunications and data communications technology systems and related infrastructure. These individuals are uniquely positioned to create the detailed design of a new system and/or integrate design into an existing structure. The RCDD is one of the highest design credentials in the IT industry, recognized worldwide. A Registered Telecommunications Project Manager oversees and coordinates the interaction between designers, engineers, installers and technicians when new information and communications technology (ICT) industry projects are being developed or undergoing construction. As technology continues to grow at a faster pace each decade, the demand also increases for proficient telecommunications project managers. Cisco Certified Design Associate (CCDA) is for network design engineers, technicians, and support engineers who enable efficient network environments with an understanding of network design fundamentals. A CCDA certified network professional demonstrates the skills required to design campus, data center, security, voice, and wireless networks. Cisco Certified Network Associate (CCNA) Routing and Switching is a certification program for network engineers that will help maximize your investment and increase the value of your network. CCNA Routing and Switching is for Network Specialists, Network Administrators, and Network Support Engineers. The CCNA Routing and Switching validates the ability to install, configure, operate, and troubleshoot medium-size routed and switched networks. Our Corning ‘Elite’ credentials were achieved within the NPI (Network of Preferred Installers) program that values experience, quality, annual training and loyalty.